EVGA, one of the most well known brands in Graphics Cards and Power Supplies has introduced the EVGA SuperNOVA GM Power Supply line. Available in 450W, 550W, and 650W, these new power supplies are engineered to bring the power, prestige, and performance of EVGA’s award-winning power supplies into an SFX-Standard form factor. Featuring 80 Plus Gold certified efficiency, fully-modular cables, and 100% Japanese capacitors, the GM’s cast a long shadow over its competition. Pint-size, affordable, and packed with everything you need, the EVGA SuperNOVA GM power supplies make short work of tight spaces. EVGA has now released a lineup of Power Supplies for small form factor cases that can only support SFX power supplies, these historically have not gotten a lot of love and mostly have been dominated by Silverstone. EVGA’s entry being 80+ gold is quite nice to know that it remains efficient and 650W should be enough to power almost every single GPU powered system in a SFX case. Fully Modular Design – Use only the cables you need, reducing cable clutter and improving air flow. SFX to ATX Bracket Adapter Included – The GM power supplies were designed to power systems built in the smallest of PC cases, but are equally capable of powering systems built in a standard ATX form factor. 92MM Durable Double Ball Bearing Fan – A high-quality double ball bearing fan gives the GM power supplies an excellent thermal and acoustic profile, and its high reliability ensures a long PSU lifetime. Award Winning 7+2 Year Warranty – 7 year base warranty + an additional 2 years warranty available for a limited time. 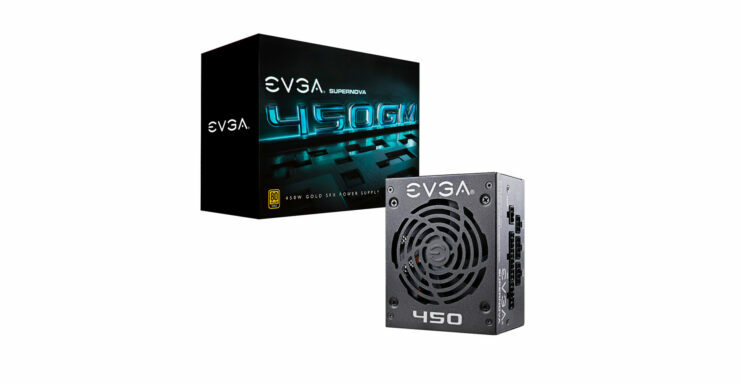 EVGA has is selling them now on their webstore for $110, $120 and $130 respectively for the 450W, 550W, and 650W models.